It’s become a dreaded ritual in the business world: scheduling tag. You’ve finally gotten that hard-to-reach prospect to agree to a meeting. Now begins the tedious back and forth of figuring out a time that works for everyone’s schedule. That’s where scheduling apps come in. No longer do you have to spend hours trying to coordinate everyone’s schedules, while still risking no-shows. Spend your time helping your clients, not trying to reach them. If you’re a former Sunrise Calendar user, chances are this was one of your favorite functions and one of the biggest reasons you’re still mourning the shutdown of the Sunrise app. Good news: we’ve resurrected Meet! 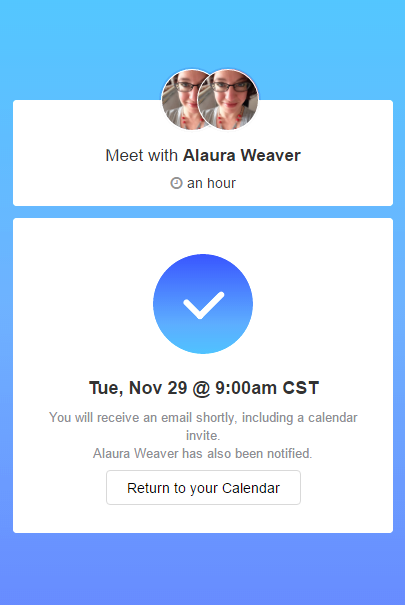 Our development team at Mindful.am just released our version of the awesome scheduling feature that allows you to book one-on-one meetups with anyone straight from your calendar. 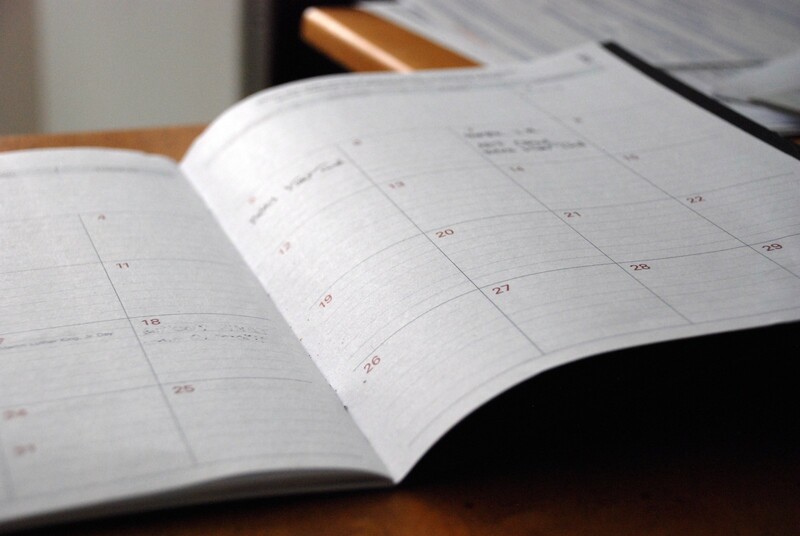 This is a quick, easy solution for scheduling anything from business meetings to date night. Click the checkmark once you’re done and a link will be copied to your clipboard, ready to share with your meeting invitee. Your invitee will see the times you have available and can select when they’d like to meet. They can even see your availability in relationship to their own calendar. Yet another way we plan on simplifying your life so you can focus and enjoy the present moment. Sign up for early access here. With clear drop-down menus and easy-to-understand prompts, this straight-forward scheduling app is ideal for anyone working with clients or prospects of varying technical skill. Need some time to research or prepare for your meetings? You can prevent invitees from booking appointments too close to your available times (ie they can’t schedule an appointment only 2 hours in advance). If you’re a small business owner in a service profession like consulting, massage therapy, or beauty services, Setmore makes it super-simple for clients to book appointments. You can share your availability and services available. For certain people, an appointment just doesn’t feel real unless they receive a reminder. Setmore offers both email and SMS reminders. Clients can also schedule appointments using the iOS and Android apps. Want to make it even easier for your regular clients to book time? The contact information storage is a favorite feature among Setmore users. This app is recommended for those who tend to schedule appointments involving several different people or groups. Every user’s schedule is displayed when an event is being planned, encouraging collaboration between groups. If you teach classes, lead workshops, or offer rental services, Appointy’s business-minded interface will help your prospects enroll without a hitch. The scheduling app, which you can use on your website as a WordPress plugin, also supports service appointments, events, recurring bookings, and group bookings. Great if you’re in the event planning industry. Another superbly-designed scheduling app for personal care professionals, Visibook will show your clients the type of services available. 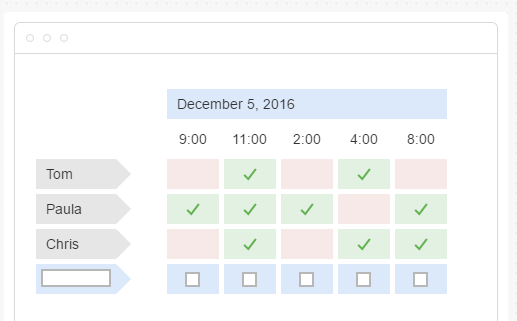 They can also filter the calendar to only see specific providers’ availability. Visibook is widely praised for its natural look and feel. The colorful design and drop-down menus lend to an intuitive experience on either mobile or desktop. You can also customize the look to reflect your business branding. Tons of online entrepreneurs, freelancers, and creative professionals live by this super-charged scheduling app. 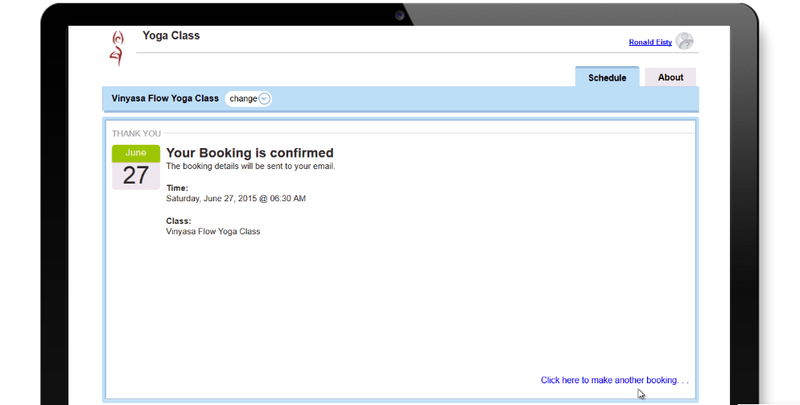 Not only does it allow clients to book time AND pay for your services, you can also offer packages and gift certificates and connect Acuity to your favorite CRM or list management software. Something else we love about Acuity: the quirky personality of their copy. Working from home can be a lonely experience, and Acuity’s friendly, humorous “voice” is like having the office clown around to keep you company. What scheduling apps have you found most helpful for your work and life outside of work? What do you look for when it comes to coordinating clients and organizing your workload? Tell us in the comments. We’re a group of productivity-obsessed software geeks. We’re building a calendar app to help you sort out your busy life so you can focus on what matters.